Have you ever looked at a pair of headphones and thought, "these are made to make noise – and do absolutely nothing else?" 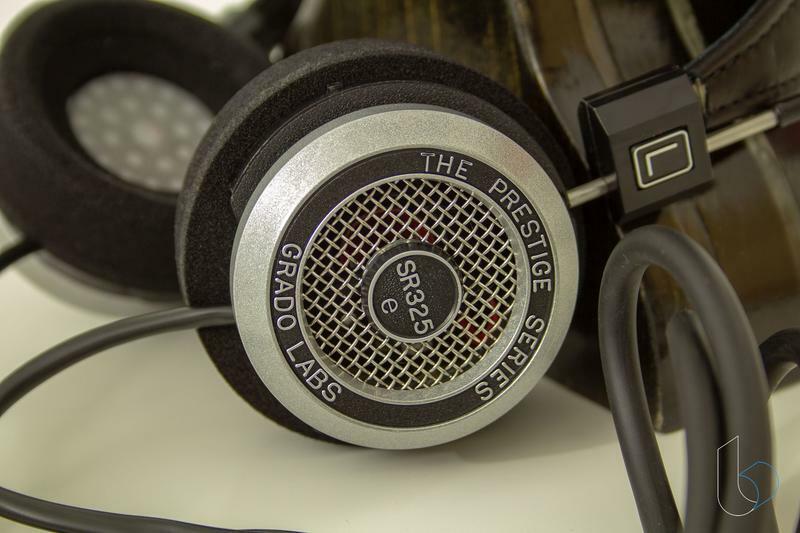 That's all I can think when I look at Grado's SR3253 open-back, on-ear headphones. Everything about them screams pure audio perfection that is uncompromising but respectful of modern audio consumption habits. At $295, they're expensive, beautiful, and they sound great. What I want to do is put just leave that picture there and let you decide. While most headphones – even nice ones – tend to feature a lot of plastic, these are pure industrial goodness. While the cradle for each ear is plastic, the cups and the backing grates are metal. They look and feel great. They connect to the headband with steel rods, and the band itself is leather-wrapped metal. Extending down from the headphones themselves is a thick rubber cable from each ear, meeting in a ultra-sturdy rubber cable ending in a 3.5mm audio jack. (do they come with a ¼? Need to verify). The cable might be one of the few sticking points people have. Even after being out of the box for a few weeks, I never fully got the kinks out of the cord. If some cables have no memory, this one has an elephant-like one. That's okay, honestly. These aren't meant to be worn outside. They're open-back. They're going to broadcast what you're listening to – whether it's Wu-Tang Clan, Jimmy Buffett, Miles Davis, or some weird mix of the three – to everyone around you. These are meant to be worn indoors, whether plugged into your DAC/AMP or into studio equipment. 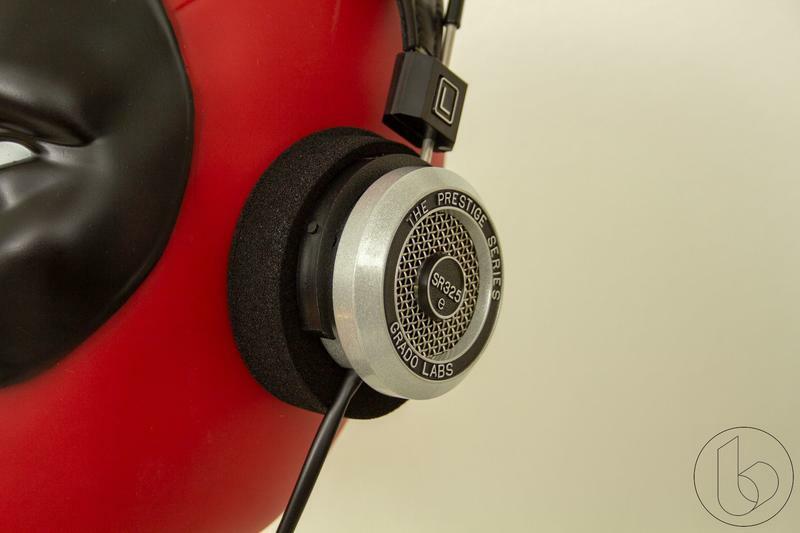 The SR325s are no-frills audio equipment. They just deliver sound, and that's it. There's no elastic fit band, disconnectable cable, or anything else. The cushions do come off, though, speaking to the idea that these are meant to be worn for a long time. My biggest concern going into reviewing these was that, historically, I haven't liked on-ear headphones. I wanted to try a pair though, since it's been a while. It turns out if you get really expensive on-ear headphones, they're actually pretty comfortable. They also swivel around completely, so you can set them flat around your collarbone or pretend you're a cool DJ (which you definitely aren't, Jason). But they're far from the most comfortable I've worn, and it's worth being aware of before you pick these up. If long-term comfort is a major selling point for you, at least as much as audio quality, you'll want to look elsewhere. One thing I especially appreciated is Grado's decision to default to a 3.5-mm jack instead of the bigger 1/4-inch one. This matches up better with my – and I would guess most – users' modern audio consumption habits. Even my DAC has a 3.5-mm jack on it. Unless you're making music, you're probably not using a full-size jack, and there's no audible benefit to using the bigger one. As I've continued to review headphones, I've found that I tend to prefer more neutral-sounding headphones. You can hear the contrast between neutral and more opinionated headphones in a song like "Killing Me Softly with His Song" by the Fugees. The SR325e headphones deliver Lauryn Hill's voice flawlessly. But the beat backing them doesn't have as much power as it does in lots of other more bass-intensive headphones. In Miles Davis' "Blue in Green," the instrument separation is really stellar. I hear Miles front and center, but I get a good sense of the drums off to my right side and the piano off to my left. The cello feels like it's right behind me. I hear the brass in the trumpet clearly. Not just the sound the trumpet makes, but the trumpet making the sound. I listen to some weirder stuff, like the Japanese jazz group Katteni Shiyagare (See the track "Auvers Blue" as one example of their work). In their music, the lead vocalist's intentionally harsh voice and the blasting horns are clean and clear without sacrificing the rolling drumbeat at the back. 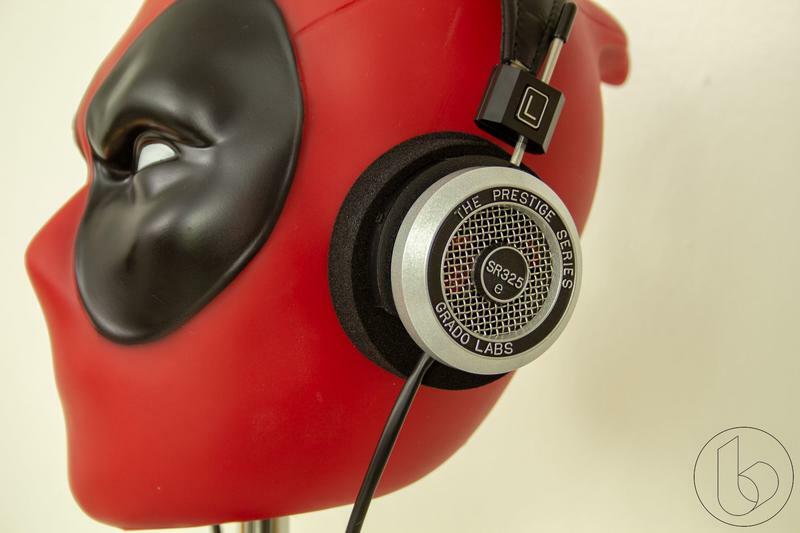 As with the Etymotic headphones I reviewed, these are headphones that you want to buy depending on what you listen to. Instrumental music is going to sound great on these. They deliver on highs and mids beautifully. On the other hand, if you primarily listen to hip hop and bass-heavy electronic music, they may not have the oomph you're looking for. Personally, I'm happy with them even for those purposes – because I prefer that neutral sound. I feel like I'm hearing everything the music has to offer. If you want a party in your ears, the SR325e headphones might not be the best fit for you. On the other hand, if you listen to a wide variety of music or focus on rock, jazz, and other instrument-driven stuff, you'll dig how the SR325e headphones sound. Just make sure you're ready for the on-ear feel and the spartan construction. And for the love of all that is good in the world, don't take them outside. Sit and close your eyes and listen to them at home. 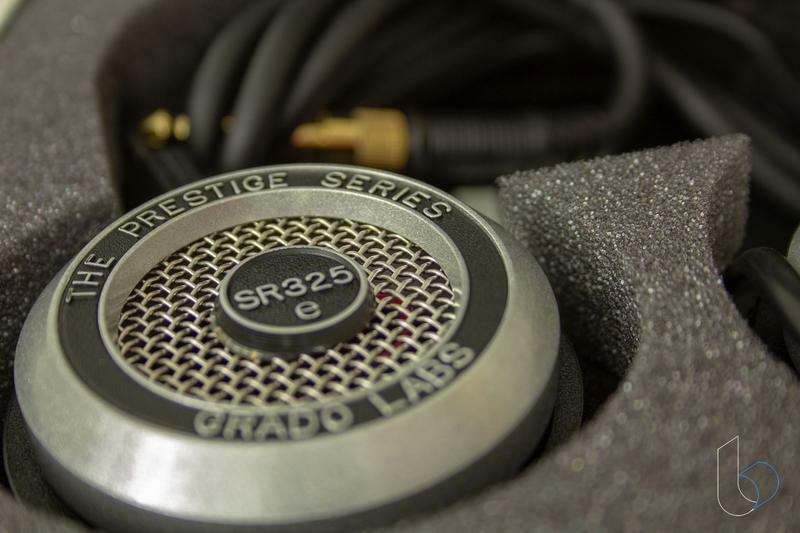 Disclaimer: We spent a few days with the Grado SR325e headphones before writing this review. 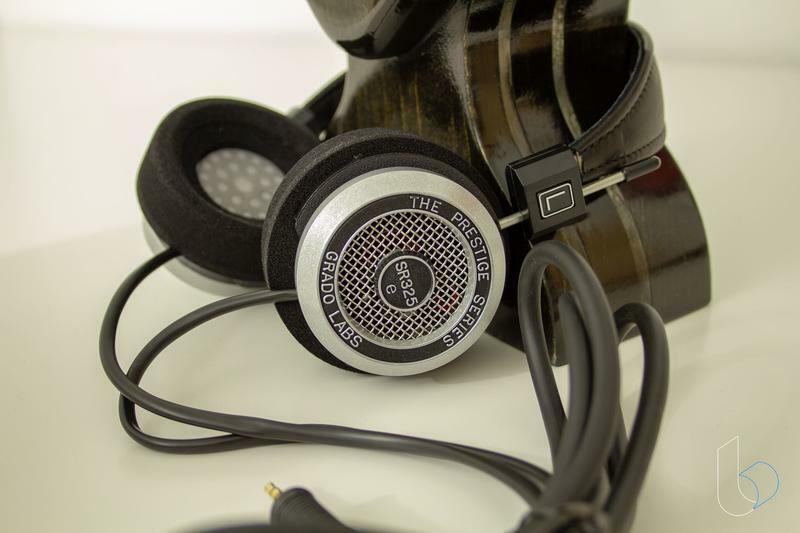 Check out the Grado SR325e or other Grado headphones from Audio46.com.